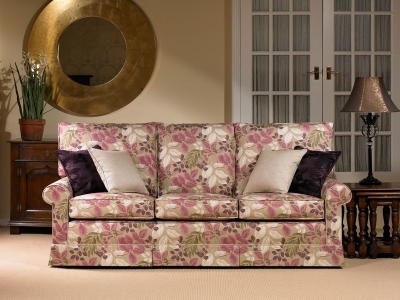 If you are happy with your current living room but feel it just needs a "facelift" and your old sofas, chairs and three piece suite are looking tired, reupholstering your existing furniture could be the cost effective option. It is often a less expensive option than buying new, especially true if your existing furniture is well made and a known brand such as Multiyork, Duresta, Peter Guild, Wesley- Barrell and of course Rhodabourne. A benefit of reupholstering is that you retain all the features, shape and style of your existing furniture, especially if it’s comfortable and fits your room size and style. Reupholstering is an excellent way to retain that comfort, while the furniture will look as good as the day it was first made. 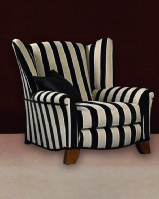 You may want to add a piece of furniture and match this to your existing suite, and a reupholster is the best solution. 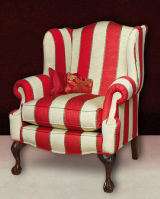 When you re-upholster, the service includes stripping down the furniture, refurbishing the structure, re-upholstering and re-covering in your choice of fabric. It takes our craftsmen years of knowledge and experience before they can undertake this work; and many hours of dedicated effort to accomplish this task. Choice of cushion interior is also very important-we can re-stuff or re-new all of you old cushions with either foam, hollow fibre or feather as well. Once your favorite pieces of furniture have been upholstered, you can expect it to last many years, in fact at least as long as the original life of your furniture. Great value for money! 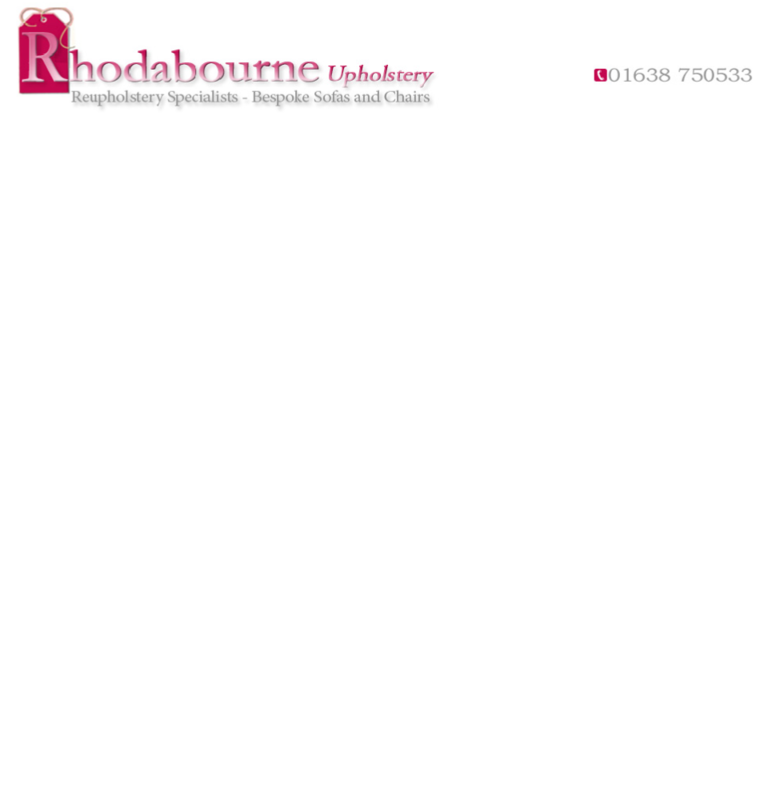 Finally, when considering which upholsterer to choose, make sure you select a reputable company like Rhodabourne to carry out your work; you can visit our showroom by prior appointment to view our craftsmanship and discuss your requirements. Call 01638 750533 between 10am & 4pm Monday to Friday and arrange a free estimate.